What would the world be without choice? Today you can choose just about anything at the drop of a hat. 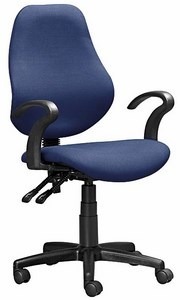 Shouldn't that be the same for your Office Chair? 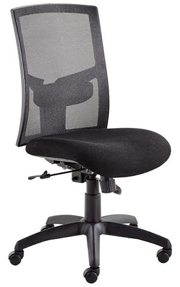 After all your office chair is something you sit on almost every day for long periods of time. Office Chair Colour and Style can say a lot about a person. Choosing the right fabric is essential to portrait the right message to your clients, visitors and even staff. What do you imagine when we say: Black Leather? I'm sure your first thought was Boss or CEO. This is the kind of Bold statement your fabric and colour choice can make. 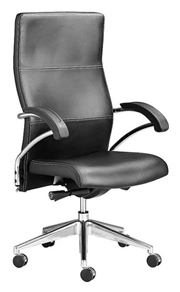 Of course anyone can have a black leather office chair, but the point is that they are making the statement that they are authoritative. Similarly a bright and colourful chair can be appealing and inviting. Imagine walking into a waiting room where the chairs are bright Orange. Wouldn't that make you feel like this place is happy and fun? Branding is a very important part of growing a business. 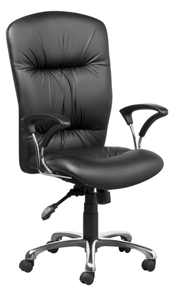 Your Office Chair is a great way to place the trade mark of your business: Your Company Logo. 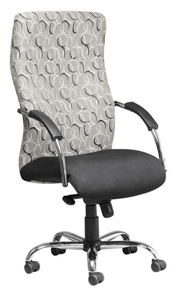 Speak to us about having your chair fitted with custom upholstery. Call 022 713 11 11 and ask one of our consultants for more details. Come and talk to us about finding the right colour texture & fabric for your business! 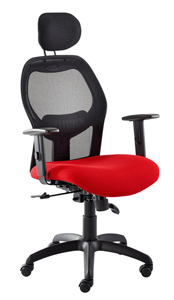 Rather fix up your old Office Chair? 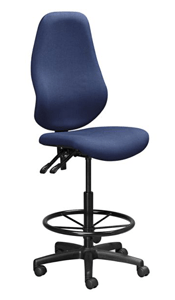 Bring your chair in to get the fabric redone in a variety of colours! Also watch the video on other Office Chair Fix me up remedies!